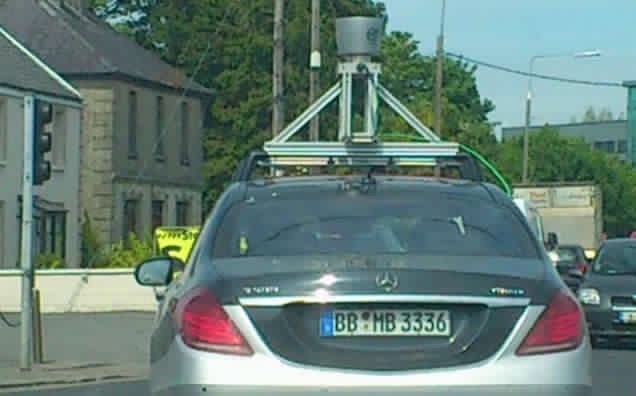 The Mercedes-Benz S-Class has been spied carrying a prototype LIDAR system. Lately, there have been talks that the three giants in the luxury car market, namely Mercedes-Benz, BMW and Audi, were racing to acquire the HERE digital mapping technology of Nokia. The system is seen by the luxury automakers as a crucial element in their development of self driving cars. According to a report from Motor Authority, the premium car makers recently did the unthinkable. Instead of competing against each other in the acquisition of the tech, the three decided to pool up their resources, totaling 2.8 billion euros or $3.1 billion, in order to hold an equal share with HERE. The deal is expected to be completed in the early part of 2016. The unprecedented cooperation of the three just to get a hold of the system just shows how Nokia really nailed it big-time this time. The source noted that HERE will remain under independent management though. It will also be open to any interested customer. However, the new owners will certainly benefit from the licensing fees stemming from the use of the product by other parties. Then again, the income from the said fees might prove to be minor for Mercedes, BMW and Audi compared to the major advantages that the tech will provide their future autonomous cars. Basically, Nokia HERE uses LIDAR or Light Detection and Ranging. It uses pulsing lasers, cameras and other sensors to come up with a precise 3D mapping in real time. The tech will certainly offer a big leap in the navigations sytem of cars because it can detect objects and people, as well as provide real-time analysis of traffic patterns.